The rail link between Khulna and the rest of the country was snapped after two freight trains collided near Darshana railway station on Saturday morning, UNB reports. Three people, including one train driver, were injured in the accident, said Chuadanga railway station master Abdul Khaleque. He said the accident took place when a Partbatipur-bound train, carrying oil, collided with another freight train coming from the opposite direction around 5:50am, snapping the train communications on Khulna-Dhaka, Khulna-Rajshahi, Khulna-Saidpur, Khulna-Parbatipur, Khulna-Rangpur routes. 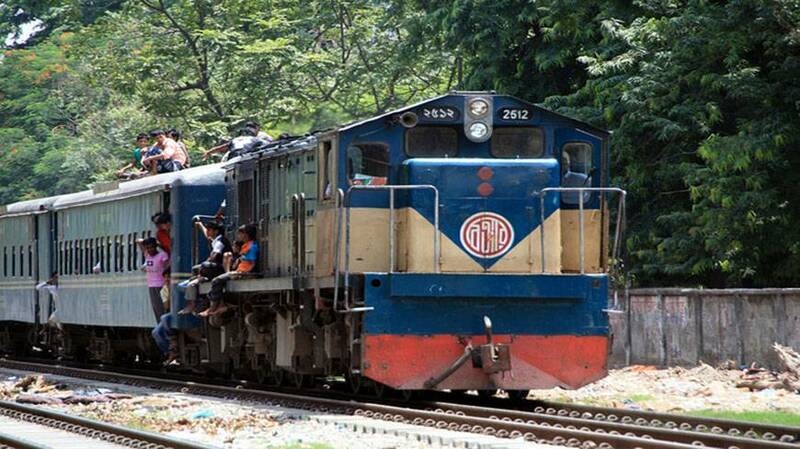 A salvage train from Iswardi railway station is on the way to rescue the cargo trains. Raihan Hasan, driver of the oil-laden train who was injured in the accident, alleged that Darshana Station did not send any signal not to enter the station. Darshana station master Hafizur Rahman could not be reached for comment despite several attempts.